Hosa Technology has provided connectivity solutions for over 30 years. 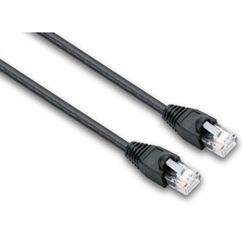 In addition to audio and video cables, Hosa also offers a comprehensive assortment of cables for digital data transmissionâ€”including Ethernet network cables. From home networks requiring a few cables to more intricate digital audio processing systems, Hosa keeps the ones and zeros flowing.